The House of Representatives has passed an intelligence bill aimed at tackling what Washington claims is political interference by Russia on a global level. The 93-page bill, passed by the House in a 390-30 vote on Wednesday, calls for setting up a new, interagency panel to suppress Russia’s alleged attempts to “exert covert influence over peoples and governments,” The Washington Post reported. The bill could be seen in direct opposition to President-elect Donald Trump’s plan to strengthen relations with Moscow. In addition to thwarting Russia’s alleged interference, the bill also outlines funding for efforts to foil attacks and deny terrorists safe harbor in Iraq, Syria, North Africa, and other locations. It aims to strengthen counter-intelligence and address threats from adversaries in cyberspace, space and at sea. It also updates whistleblower procedures in the intelligence community and requires a declassification review of intelligence reports on detainees transferred out of Guantanamo Bay by President Barack Obama and former President George W. Bush. The Senate is expected to vote on the bill before the end of the year. Also Wednesday, the six Democrats on the Senate Intelligence Committee sent a letter to President Obama, seeking declassification of information about Russia’s alleged meddling in the US presidential election. 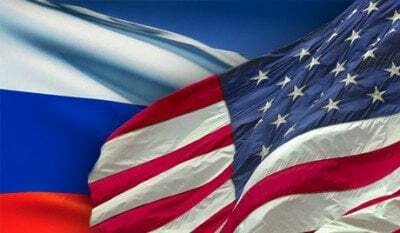 Moscow has dismissed claims that it meddled in the US presidential election as “nonsense,” with President Vladimir Putin calling the accusation an attempt to distract American voters from domestic issues. “No promised ‘evidence’ of interference in the electoral process has been presented neither to the American, nor to the international public,” Lavrov said.